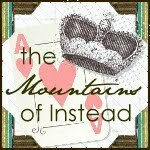 The Mountains of Instead: A Short Hiatus Before Ed Book Fest 2013! 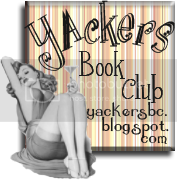 A Short Hiatus Before Ed Book Fest 2013! We are delighted to have been approached by the Edinburgh Book Festival to promote the many exciting events that they have going on this year. The Book Festival is a favourite of all of us here on The Mountains of Instead and we are delighted to be actively involved with the 2013 programme. There are lots of great YA authors in attendance this year and that will be our main focus with reviews and discussions on each author appearing almost every day during the festival. Polka Dot Steph will be our woman on the ground, although I'll be joining her to swan around and drink wine while flashing my press credentials. Er, I mean, to talk meaningfully about literature. We hope that you'll join us at least online but also in person if you happen to also be swanning. Until then au revoir and enjoy the heat wave!